'Chromebook', the series was initially launched to provide customers with affordable notebooks but it seems they were just not satisfied with it and as result we have the 'Chromebook Pixel'. Chromebook Pixel, an exceptional notebook which offers a 12.85 inch, 2560 x 1700(slightly larger than Retina display) touchscreen-enabled panel. It will compete with Apple's MacBook Pro with Retina Display and will come in two varient - LTE model & Wi-Fi only. 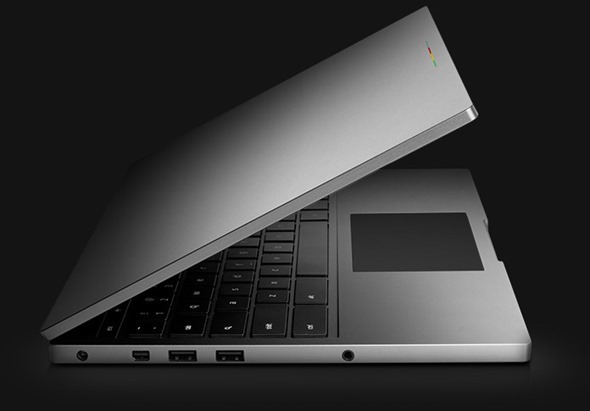 Chromebook Pixel will start shipping from next week. 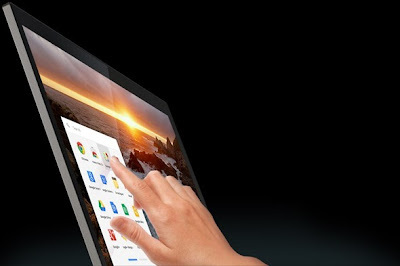 Cromebook Pixel's Wi-Fi model comes with 32GB of internal storage and can be purchased from Play Store now for $1299. Cromebook Pixel's LTE model offers 64GB of internal storage, and will cost $1449. Both the variants come with 1TB of free Google Drive space for 3 years. It will be interesting to see if Chromebook Pixel can actually disturb the ongoing sales of MacBook Pro.